When you choose an elevator, you’re not just picking a box that moves up and down between floors. You’re also choosing the elevator maintenance company that will help you make the most of your investment and keep your elevator working safely and efficiently for as long as possible. At Carson Elevator , we’re proud to take care of your residential and commercial elevator needs in Salt Lake City. We will support you with maintenance, offer reasonable prices for our products, and provide you with excellent service. Continue reading if you’re interested in finding the right commercial elevator solution with Carson Elevator. It’s unlikely that your elevator will continue to stand up on its own, which is why you should give it a little help whenever you can. If elevator maintenance doesn’t line up with your skillset, the professionals at Carson Elevator would be happy to come by and service your elevator for you. 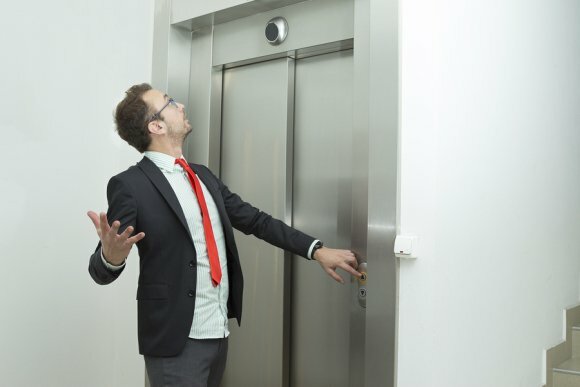 Many business owners make the mistake of thinking that their elevators will take care of themselves, or that their investments don’t need much upkeep. Unfortunately, this is not the case, and a neglected elevator can quickly become unsafe. As long as you keep up with your elevator maintenance, you can avoid serious problems and enjoy a fully functioning elevator. The team at Carson Elevator is dedicated to quality customer service, and part of this can be seen in our prices. We want to make it as easy as possible for you to make your commercial space more accessible, and an affordable elevator can help you do just that. Our prices aren’t just competitive—in most cases, they’re impossible to beat. We are also capable of taking care of both proprietary and nonproprietary equipment, so you can keep your elevator properly maintained and efficient, regardless of what kind of unit you have. You need a quality technician to make sure your commercial elevator stays in shape, which is why you should look to the team at Carson Elevator. Our professionals are dedicated to extending the working life of your elevator without harming the environment. When you take the elevator at work, chances are that you may find yourself in close quarters with one of your colleagues. In this video, you will learn some essential tips for making pleasant small talk when you are riding an elevator in Salt Lake City . Rather than talking about essential work projects, you may want to ask your coworker about his or her family or hobbies. By avoiding sensitive topics while in a commercial elevator car, you can make the ride more pleasant for everyone. If you need a high quality elevator for your commercial space, be sure to look for a non-proprietary elevator contractor. By working with a non-proprietary elevator business, you can make sure that you are receiving a quality elevator that your employees and clients can rely on. If you operate a hotel, apartment building, or multi-level retail store, your elevator probably sees quite a bit of use. 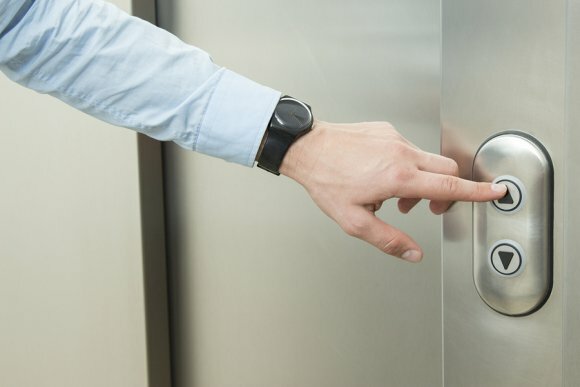 As with anything that gets used frequently, it’s important to maintain your elevator on a regular basis, both to ensure the smooth operation of your business and the safety of your clients. Signing up for a maintenance plan with an elevator company in Salt Lake City makes maintenance easy, affordable, and non-intrusive. Here’s a quick look at the importance of maintenance for commercial elevators . It’s often easy for elevator riders to tell when an elevator isn’t operating at its best. Sudden jolts, eerie noises, and non-responsive doors can set customers or clients on edge at a time when they should feel comfortable. Addressing these issues before they start can help ensure that your customers feel safe for the entirety of their visit. If a client feels uncomfortable while visiting your business, there’s less of a chance that he or she will return. Elevators make millions of trips every day without incident. However, there are a handful of times when an elevator breaks down, trapping the occupants inside. This is often a symptom of a lack of maintenance, and can be avoided with regular service from elevator experts. Many newer elevators use advanced equipment and software that require special tools in order to maintain. Like it or not, the smooth operation of your elevator reflects on your business’s reputation. After a customer patronizes your business, you want him or her to rave about the quality of products or services, not rail about the poor condition of your elevator. An out-of-order elevator can cause further damage to your bottom line as you wait for it to get repaired. Ideally, your elevator should be an unsung hero; an unrecognized people-mover that quietly does its job without incident. Carson Elevator was once called Wasatch Elevators; although our name has changed, our commitment to customer service and quality professionalism remains as strong as it ever has. Our team is proud to specialize in new elevators near Salt Lake City. We are also happy to offer elevator maintenance as well as use our expertise to help you make the most of your elevator. If you have been considering purchasing an elevator for your home or business, feel free to keep reading for a quick look at Wasatch elevators. At Carson Elevator, we are in the business of making strong and lasting relationships with our customers. We care deeply for the community in which we are nestled, and we will stop at nothing to make sure you are satisfied with your investment. We hope to prove to you that we are willing and prepared to take care of your every need and help you enjoy greater convenience and accessibility in your home or workplace. In treating our customers with dignity, respect, and compassion, we hope to make lifelong relationships. The maintenance services we offer are designed to save you money and keep your elevator functioning optimally for as long as you have it. An elevator serving Salt Lake City is not the cheapest investment, but it can be incredibly useful and effective. If you want to keep it that way, however, you will need to recognize when your unit requires repairs . Consistent elevator maintenance can help you keep your investment in working condition for as long as possible, but understanding the problem signs can be just as helpful. Anything from dusty equipment to uneven stopping can present problems from your elevator, as can a lack of maintenance. 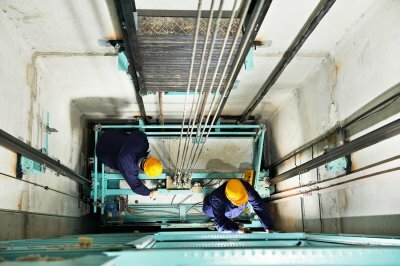 Read on for a look at a few signs that your elevator needs repairs. If you ever find dust on your equipment, this is a good indicator that it has not been receiving the proper maintenance. This goes for any type of appliance or fixture, but it can be especially true for your elevator. Dust does not just indicate a lack of maintenance; it can also be problematic in itself. The cleaner your equipment is, the better off it will be when it comes to performance. If you check on your machine room and you notice dust everywhere, it might be time to bring in a specialist to make sure that all of your equipment is working properly. In order for an elevator to work as safely and efficiently as possible, it should provide easy access to the desired floor. However, you may find that your elevator does not stop at the right level where it is flush with the ground. If there is a gap between the floor of the elevator and the ground you will step onto, you may want to consider calling your elevator service for repairs. This will help you stay safer in your home or allow your employees and patrons to avoid harm in your business place. Routine maintenance is crucial when it comes to keeping your elevator in working order, and a regular schedule can simplify this. If you don’t already have a maintenance schedule set up with your elevator services, you may be at a greater risk for malfunctions. Talk to your specialist about a maintenance schedule. As you might expect, installing a new elevator near Salt Lake City is not the easiest task; this is why you need to work with a professional to make it happen. If you want your elevator to function properly and last as long as possible, the installation is a crucial component. Be sure to find a professional elevator company that you know you can trust. Your team of pros will build the shaft for your elevator, set up the wiring, and let you enjoy your investment. Continue reading if you are interested in learning about the steps of installing an elevator. Installing an elevator is not a task that you should ever handle on your own unless you have gone through the appropriate training under the supervision of an experienced professional. For this reason, you will need to contact a professional elevator service when you decide you want an elevator installed in your home or workplace. If you want to ensure that your elevator is installed properly, make sure you hire a reputable contractor. 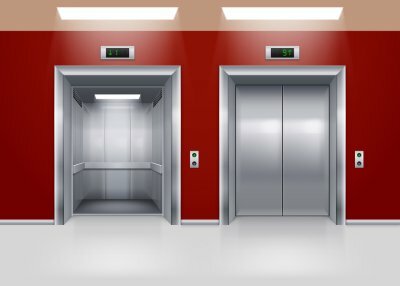 A poorly installed elevator can be unsafe, which can present a unique array of problems in both residential and commercial settings. Do your research and make an informed decision so you can enjoy a quality elevator and some peace of mind. In order for an elevator to get you from floor to floor, there will first need to be a shaft where it can travel. This is why the first step in the actual installation process is constructing a shaft. The shaft is essentially a vertical hallway through which your elevator will traverse. It is crucial that the measurements of the shaft and the elevator car match up perfectly. Your elevator depends on electrical components in order to function properly. Once the shaft has been constructed, your elevator company will set up the necessary wiring so that your elevator can move smoothly and safely. 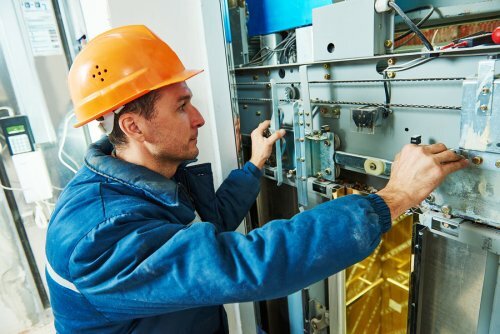 It is helpful to have your elevator specialist come back and maintain your wiring on a regular basis to prevent problems from arising. What Do You Need to Know About Elevator Maintenance? If your business or establishment relies on the use of an elevator in Salt Lake City, it’s vital to know a few facts about elevator maintenance . Keeping your lift system in good condition can save you from hassle, high repair costs, and inefficiency. Regular elevator maintenance can reduce your overall costs. Elevator maintenance is a service that is frequently overlooked until there is a problem. Once your elevator stops functioning, you and anyone else who relies on it is likely to feel frustrated and experience a delay in day-to-day activities. The elevator repair costs associated with breakdowns can significantly surpass the costs that come with an elevator maintenance plan. Additionally, regular maintenance can extend the lifespan of your elevator equipment and prevent the need for early system replacement. Preventive maintenance can improve your workplace efficiency. When an elevator breaks down, it can cause frustration for your employees and reduce their level of morale. Also, the more time that your staff spends waiting for an alternate elevator, the less work they can accomplish throughout the day. Elevator maintenance can help ensure that your workplace runs smoothly and efficiently. Maintaining your elevator keeps tenants, clients, and guests happy. Elevators have been an expected feature in many commercial buildings for decades. They provide people with exceptional convenience and, when they break down, your would-be passengers can be left feeling frustrated, dissatisfied, and put-out by the issue. Regular elevator maintenance should be thought of as an essential part of your business upkeep. Some signs can indicate the need for elevator maintenance. Elevator doors tend to receive the most abuse out of the entire lift system. The doors open and close at each stop and are frequently blocked by passengers rushing in or holding the door. These circumstances can lead to misaligned doors which are likely to cause an elevator shutdown. Warning signs of misaligned doors are panels that drag across the floor and scratches on their surfaces. You’ve undoubtedly come across commercial elevators before, but did you know that you can have a Salt Lake City residential elevator right inside your home? Residential elevators provide a wealth of advantages for all kinds of people. They’re particularly helpful for those who have mobility problems and live in a two-story building, but they can be useful for just about anyone. A new elevator can even improve the resale value of your home as well as provide an opportunity to boost your aesthetic. Read on to learn the top reasons you need an elevator in your home. Continuing to live at home is important for many older adults, but mobility problems can make it difficult to access different floors of the home. If you suffer from a physical condition that makes it difficult or impossible to use stairs, an elevator can be a great solution. A residential elevator can eliminate the need for an aid or relative to come over and help you, allowing you to exert your independence. Be sure to look into maintenance plans so your elevator stays in working condition. There are certain elements that stand out when potential buyers see a home for the first time—a residential elevator is one of them. This unique addition to the home can increase its value and make it easier to sell. 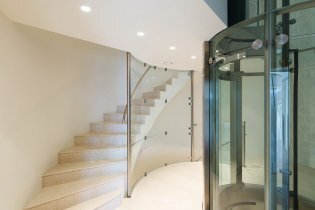 A residential elevator becomes especially appealing if it has been professionally maintained since installation. In addition to being practical for all kinds of people, a residential elevator affords you the opportunity to add a new aesthetic element to your home design. There are all kinds of styles, colors, and designs to choose from, making it easy to create an elevator that perfectly fits in with your existing designs. Add handrails, lighting, and a finish to make your elevator as aesthetically pleasing as possible.